Chai¡man. 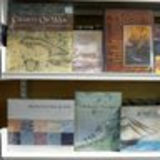 Subscription offlces are at P.O, Box 292859, KetterinB, OH 45429-0859; l-800-877-5284 for U.S. and Canada. Ove¡seas: 1-937-610-0234. Subscription rate is $34.00 for one year (6 issues) in the U.S. and its possessions. Canadian subscription ¡ate is $39.00, U.S. funds. Su¡face rate ove¡seas is $4?.00, U S. funds per year Periodical postage paid at Brooklin, ME 04616 and additional mailing ofñces. In Canada, periodical postage paid at Toronto, Ontario (Ca¡radian Pe¡iodical Agreement No. 40612608, GST Registration No. Rl27081008). U.S. Postmaster: Please send Change ofAddress (form 3579) to P.O. Box 292859, Kettering, OH 45429-0859. Cdada Postmmter: Imex Clobal Soh¡tions. 11O, Box 25542, London, ON, N6C 682, Canada.